Tonight is opening night of Tristan und Isolde! Plan on coming early, because traffic will be slow due to the Seafair parade. 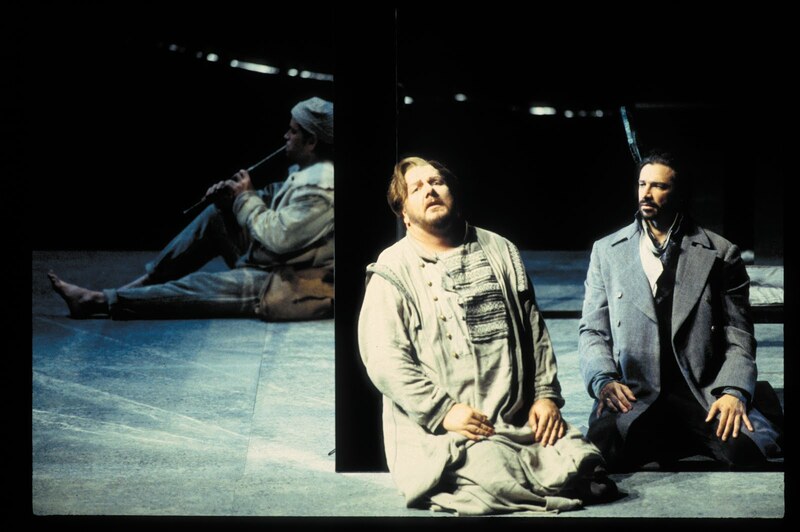 Before we open, let's check in with Stefan Farkas (left), who plays the famous English Horn solo in Act Three of Tristan und Isolde. Hi, Stefan, thanks for joining us on our blog today. Richard Wagner has put you on the spot at the top of Act Three of Tristan und Isolde, when you play what’s probably the most notorious English Horn solo in all of opera. Is this your first time playing Tristan, or playing this particular solo? This is indeed the first time I've performed Tristan. However, the English horn solo is, as you point out, so notorious that I have practiced it on and off for years and I feel like I know it very well. Is this your first time playing Wagner? No, I have played a fair amount of Wagner. I played in the Seattle Opera's production of the Ring last summer, as well as The Flying Dutchman with Maestro Fisch a few years ago. Wagner also seems to turn up regularly in the concert hall, as I have often performed excerpts from his operas with the Seattle Symphony and in other symphonic settings. 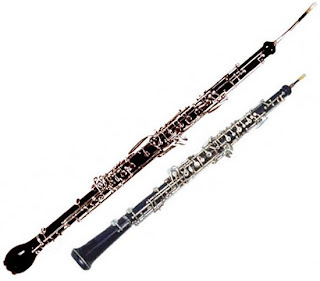 How is playing English horn different from playing oboe? Are there other particularly gratifying moments for these instruments that you’ve played in the opera house pit? Essentially, the English horn is really just a larger oboe, and I believe that if one can play the oboe well, one can also play the English horn equally well (provided that one spends some time practicing it!) Having said that, I've always felt that the English horn suits me a little better than the oboe. It may be the deeper, more plaintive quality it possesses. I have, however, been fortunate enough to perform as English hornist and Principal Oboe on numerous occasions, and there is no shortage of beautiful solos for both instruments in the opera repertoire. The English horn solo from Wagner's Siegfried is one that quickly comes to mind, because we played it last summer, and it is perhaps unique in that it is one solo that you want to make sound as BAD as possible. 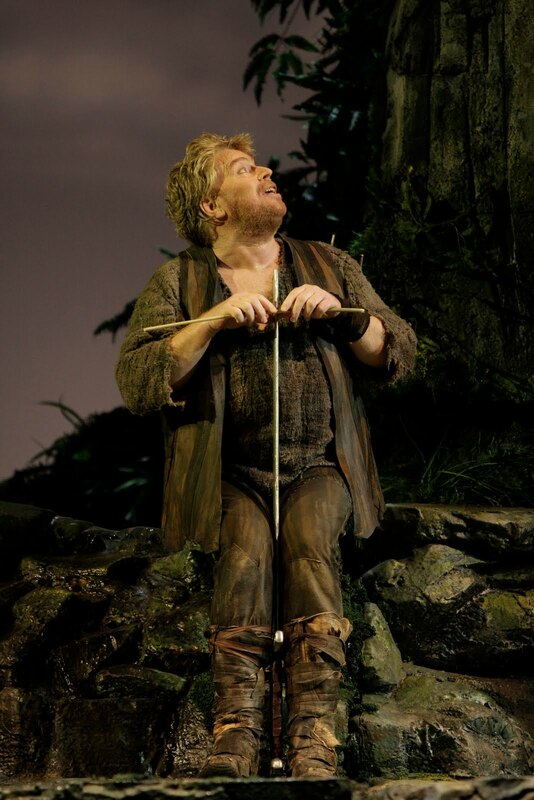 That's because it portrays Siegfried's unsuccessful efforts to play a small pipe which he fashions out of a piece of cane he finds in the forest. Last summer at Seattle Opera, Stig Andersen as Siegfried made a small pipe (the squawking sound of which came from Stefan Farkas's English horn) in order to attempt to communicate with the Forest Bird; Chris Bennion, photo. Tell us a little about what it’s like to be a member of the orchestra for one of these Wagner summers at Seattle Opera. Seems like there must be a lot of long hours, and a lot of difficult music. The rehearsal schedule for Tristan does seem a little taxing at times, but honestly, when I think about how we rehearsed the Ring and performed it three times last summer, this summer doesn't seem so bad! Now, let’s talk about your solo. Does it even have a key signature? Or is it considered atonal? Although the solo takes some interesting twists and turns, tonally speaking, it is most certainly in the key of f-minor (which is quite possibly the saddest of all keys, despite what you may have heard in the movie Spinal Tap). when he learned his mother’s fate. she died when I was born. 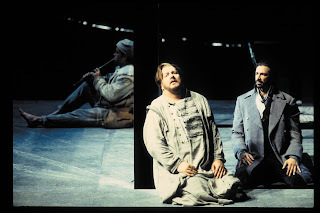 In Seattle Opera's 1998 Tristan und Isolde, Doug Jones mimed the playing of the tune on his Shepherd's pipe, while Ben Heppner as Tristan sang this passage to Greer Grimsley as Kurwenal. Do you have to worry about all of these psychosexual symbolic reverberations? Or do you just have to play the notes? Is there anything particularly challenging about making music out of this solo? I do always try to be aware of the emotional significance of what I'm playing, as it relates to the story of the opera. Having said that, I try to keep the psychosexual thoughts to a minimum when I'm actually performing. I once read that Wagner was inspired, when writing this English horn solo, by the traditional cry of the gondolieri in Venice, where he lived when drafting part of this opera. Apparently that folk music tradition is all about extremely long breaths and melismas, perhaps originally inspired by Eastern musical traditions. 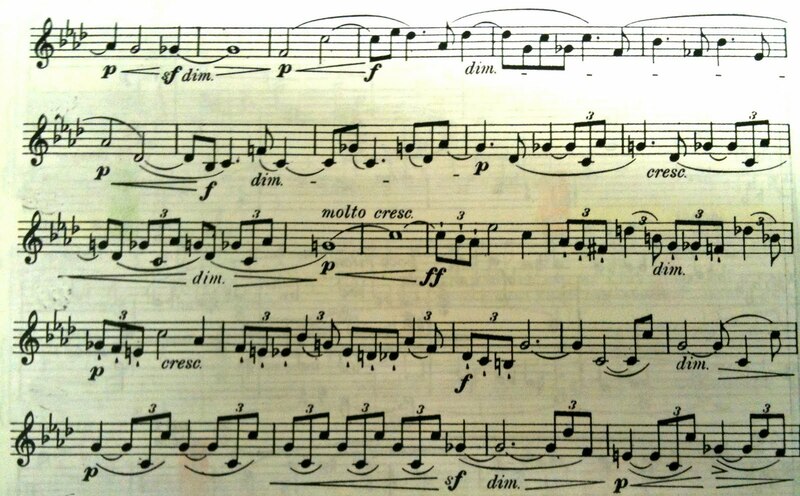 Do you find you run out of breath on the long phrases of your Tristan solo? For sure, the most challenging thing about playing this solo is that it seems to go on forever, without any convenient place to breathe. 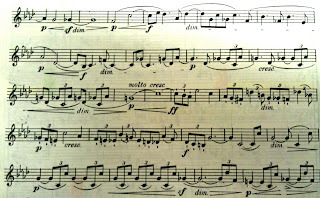 Some players employ a technique known as circular breathing, which basically means inhaling while playing, which allows one to play continuously without stopping to take a breath. I've never been able to master that technique, so for me, the secret is to try to sneak breaths in wherever I can, hopefully in places that don't disrupt the musical phrase too much. 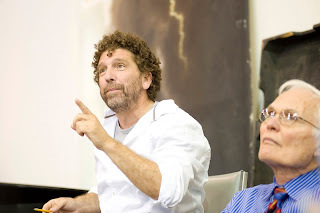 What’s it like working with Maestro Fisch? I worked with Maestro Fisch when he was here conducting the Flying Dutchman, and I've always found him to be a pleasure to work with. He obviously knows the score very well, knows what he wants, and knows how to convey his intentions to the players and singers. At the same time, he manages to give the artists enough freedom to put their own stamp on the music, and that makes things more fun for the performers. It sounds simple, but I've found these to be a rare combination of qualities in a conductor. Principal Guest Conductor Asher Fisch leads this summer's Tristan und Isolde. I somehow think that I read that the offstage English Horn in 3rd act of Tristan was to have been on an earlier, rougher instrument. An ancestor to the common English horn. Is that true and what is that instrument called. Is it still employed in current productions? At Seattle Opera we've always used a standard modern English Horn for that solo. But it's supposed to be coming from a shepherd's melancholy piping, onstage, so it's possible that more of a folk instrument would contribute an appropriate color, too. See Culshaw's "Ring Resounding" for a little story about the alpine steerhorns used (in the 1960s Decca recording of the "Ring") for some of the offstage horn calls.